This Double bridle with rolled leather is handmade with high quality leathers and will give you years of enjoyment. 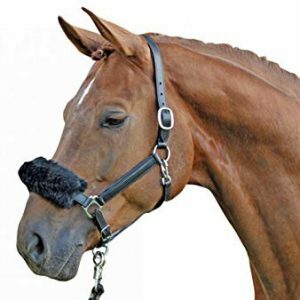 The beautiful wide and super soft padded noseband is approx 1.5 inches wide and has a recess at the bit to create more space between the bit and the noseband. This is so the delicate cheek of the horse does not get pinched and also protects the nerve which runs below the cheekbone. 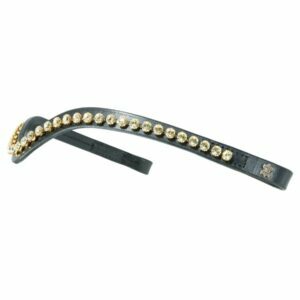 The innovative design of the headpiece is perfectly adapted to the anatomy of the horse’s head; not only cut back behind the ears, but also wider at the top of the neck. This design ensures the best possible pressure behind the ears of the horse. For extra comfort, the noseband hangs from the header. 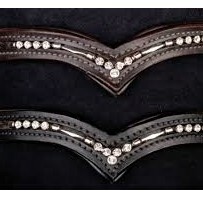 The bridle is equipped with a beautiful wave model browband with big Swarovki crystals in silver settings. 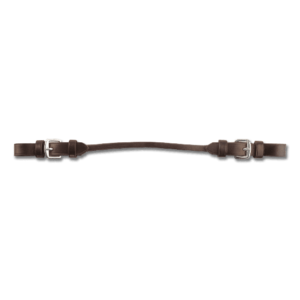 Finally the bridle features stylish black stainless steel buckles and haberdashery. 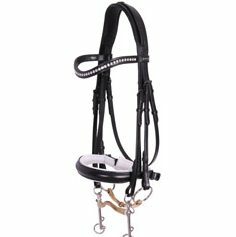 This bridle comes with leather snaffle reins with rubber anti-slip layer on the inside and a leather double rein. Available in Full in black or black/white.